We start with Ali Velshi and Stephanie rule responding to Trump's sycophant feed over the past two days. Trump's lies about the stock market under his leadership drew particular attention from the liberal MSNBC hosts. Trump's lies also spill onto the CNN News set as host Chris Cuomo partook in a critical and necessary on-camera battle with yet another GOP (Trump Administration) rationalizer. Pennsylvania Rep. Scott Perry towed the GOP post-Hurricane Maria party line with claims of "we are doing a great job in Puerto Rico and what could we do better...people would be dying. What follows is an excerpt from the ShareBlue web page. The excerpt video and partial transcript offers all rational Americans they need not know about the GOP. Philadelphia's ABC News 6 and two minutes of Trump hawking his tax plan in Michigan. As is always the case Trump used standard Trump mantra (God, county et al) to hawk to an audience billed as "truckers." Trucker and rational Americans beware Politifact Trump File. Trump has also taken to spewing utter lies about how his tax plan will not offer a financial benefit to himself. Says "No, I don't benefit, I don't benefit" from his tax proposal. 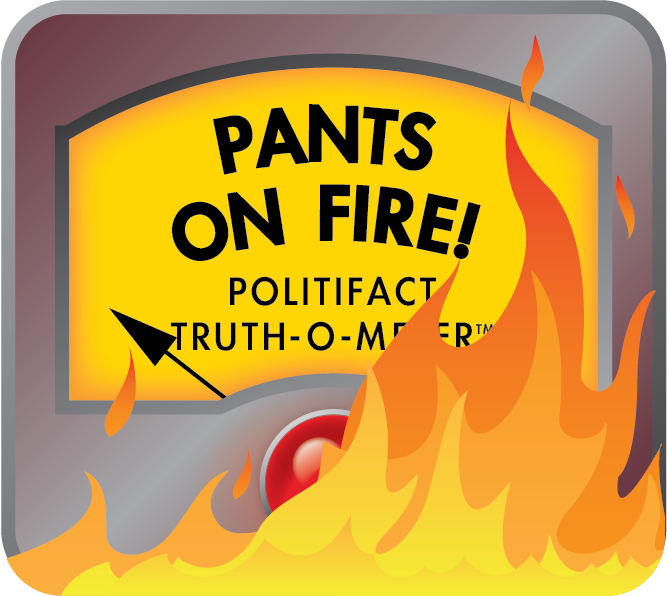 Before we leave the daily Trump lie machine, allow one more peep at a recent Politifact "Pant on Fire." From effectively ignoring the catastrophe and strife in Puerto Rico through outright lies regarding the GOP tax plan, never a day goes by without a copious dose of Trumpism. On another note, another day has passed into US history without a word from Trump about the four Marines killed last week in Niger. He took a moment this morning to wave the "respect" Flag regarding Pakistan's military-style operation and release of a Western couple (An American woman, a Canadian man, and three kids) from the Taliban, but no word about four dead servicemen.